Wine club members are your best customers and they should be treated as such. Respond to emails and phone calls the same day and don’t be afraid to bend the rules a bit to keep your club members happy. A little extra effort goes a long way! Give your members the option to customize their selections – people want what they want, when they want it. Customization also gives you the opportunity to get to know your members better and to add to their wine club selection, thus increasing loyalty and your bottom line. 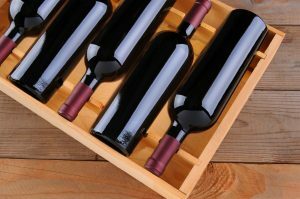 Offer “members only” wines and make sure all club wines are top quality: Do not use your wine club just to move inventory. Customers will eventually catch on to that and will quit because of it. Have a way for your members to update their billing information and shipping info electronically/automatically. Make it easy for your members. Do “pick-up parties” for your will-call members: This is an opportunity to sell even more wine to your club members and their guests. Make sure that the parties are unique and fun and it will be a selling point for people to join your club. Do quarterly “we want you back” email, phone and postcard campaigns for past members: These are proven customers and people leave wine clubs for a multitude of reasons. Why not make an effort to get them back? If a member brings in a friend to join the wine club, offer them a gift certificate or special discount. Use social media to promote your club: Do special offers for club members via social media – use the same offers as emails to stay consistent and take pictures of club members and club-related events and post on your social media channels. Know your average revenue per customer – if you are not accurately tracking your numbers, you can’t improve them. Make sure that all club-related materials are consistent with your brand image: The content needs to be relevant and interesting.